Branford High School Students for Life received the award for High School Group of the Year. January is a big month for the pro-life movement, because it is the month in which the anniversary of Roe v. Wade, which federally legalized abortion in America, takes place. The March for Life in Washington, D.C. takes place, as well as the Walk for Life West Coast, and many statewide marches and conferences occur in conjunction with the bigger national events. Students for Life of America (SFLA) plays a prominent role on both the east and west coasts during this time with its student conferences, where the organization equips young pro-lifers to impact their high school and college campuses with the pro-life message. Each year, Students for Life recognizes the outstanding achievements of its affiliates on campuses across the nation. Groups are awarded recognition at each of SFLA’s student conferences. This year, eight groups stood out among the others by overcoming difficult hurdles and accomplishing huge pro-life goals on campus. According to SFLA, the awards recognize successes that the students have made in the areas of campus activism, recruitment, community involvement, and pregnancy resources. Every day, I am amazed by the courage and the creativity of pro-life students starting and leading revolutions in communities across the country. They are truly the leaders of a renewed pro-life movement that is catching this nation by storm. 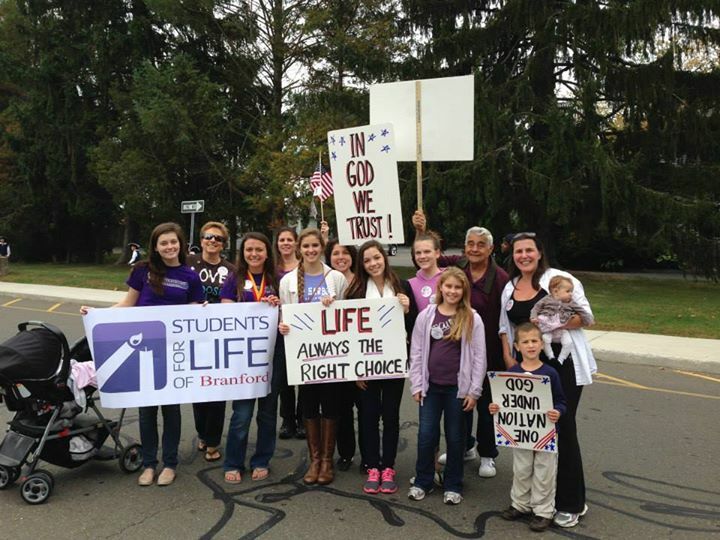 These Students for Life groups are leading the way for a nation in which abortion is illegal and unthinkable. Group of the Year, Bama Students for Life, University of Alabama, for their unwavering courage to militantly defend and protect the pre-born and their mothers. They have started a culture-changing revolution in Tuscaloosa that will one day lead to abortion being illegal and unthinkable. Group of the Year Runner-up, IPFW Students for Life, who created and presented a perinatal hospice program that they presented to their school’s human resources classes and the entire nursing department. West Coast Group of the Year, Gonzaga University Students for Life, for their consistent efforts to engage their campus in outreach, dialogue and pregnancy resources. New Group of the Year, Johns Hopkins University Voice for Life, whose successful battle for official recognition from a student government that compared them to white supremacists gained national media attention. West Coast New Group of the Year, Students for Life at University of New Mexico, who helped lead a grassroots effort in Albuquerque to support a bill that would have banned late-term abortion in the city and forever changed the way the people of Albuquerque think about abortion. Pregnant on Campus Group of the Year, Notre Dame Right to Life, who have changed the conversation on their campus about student pregnancy and are creating a campus culture that supports student moms who choose life. West Coast Pregnant on Campus Group of the Year, Every Life Matters, Concordia University Irvine, who just became an official student group in October and are already leading the 40 Days for Life campaign in their town and supporting the local pregnancy care outreaches. High School Group of the Year, Branford High School Students for Life (CT), faced unbelievable discrimination from their administration, fellow students, and their community, including attempts to label them as a hate group, but they refused to give up, took a stand for life and are having an incredible impact on their peers.